Working with Laura Hanlon again was a wonderful experience. 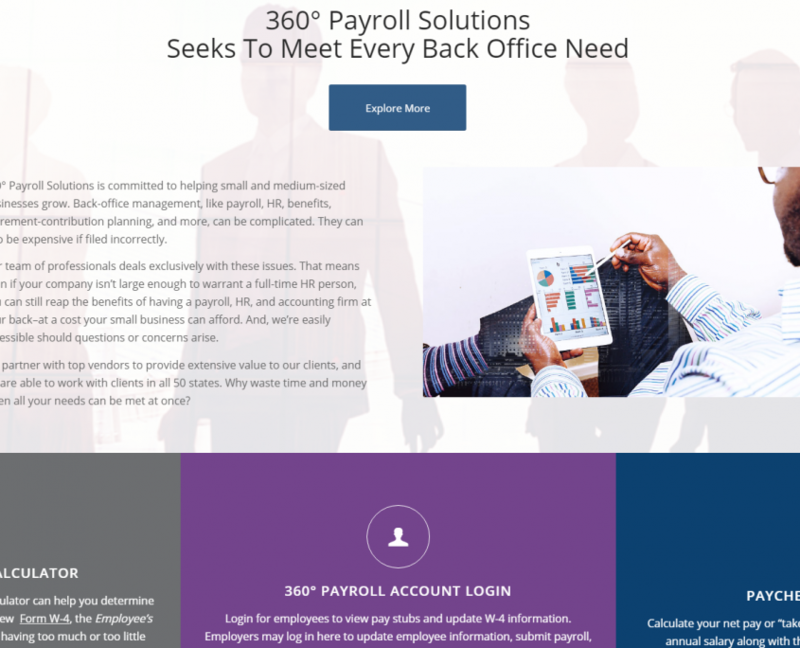 After the success with her tax side of Laura Hanlon CPA PA, CloudZen Designs was honored when she chose us to help market and brand her new Payroll business. 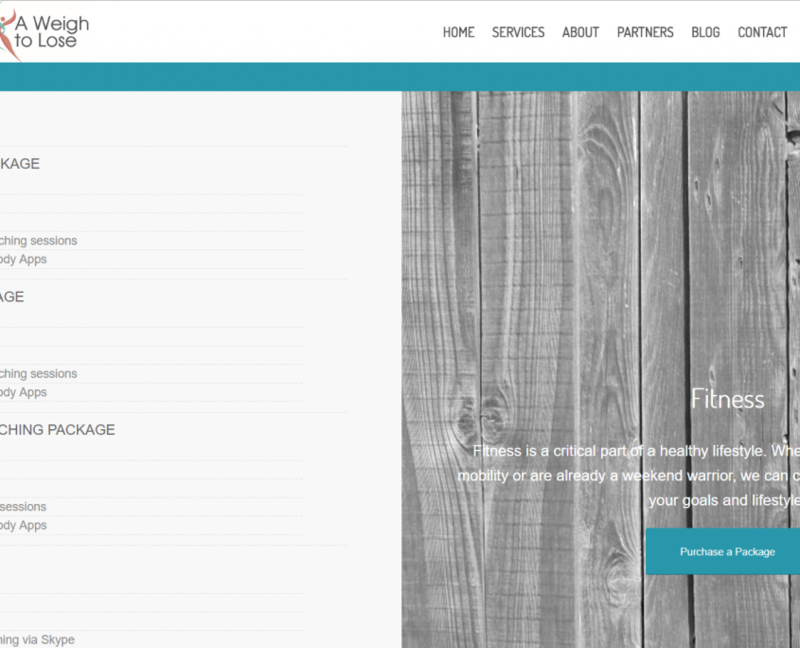 We helped the company get set up with new hosting, a great site design, and amazing SEO services. 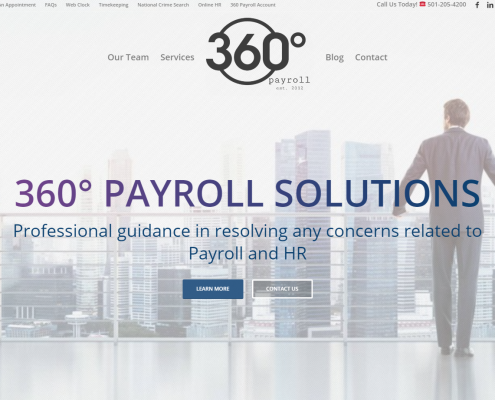 360 Payroll solutions seeks to meet every back-office need by partnering with top vendors who provide an expert knowledge base to serve our clients. They service small to medium sized businesses in all 50 states. 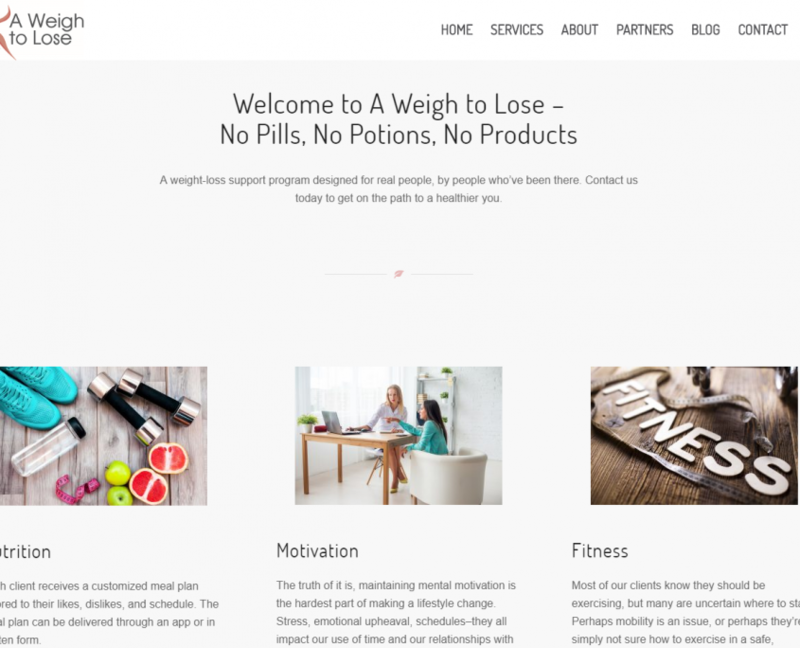 It was great working with A Weigh To Lose! 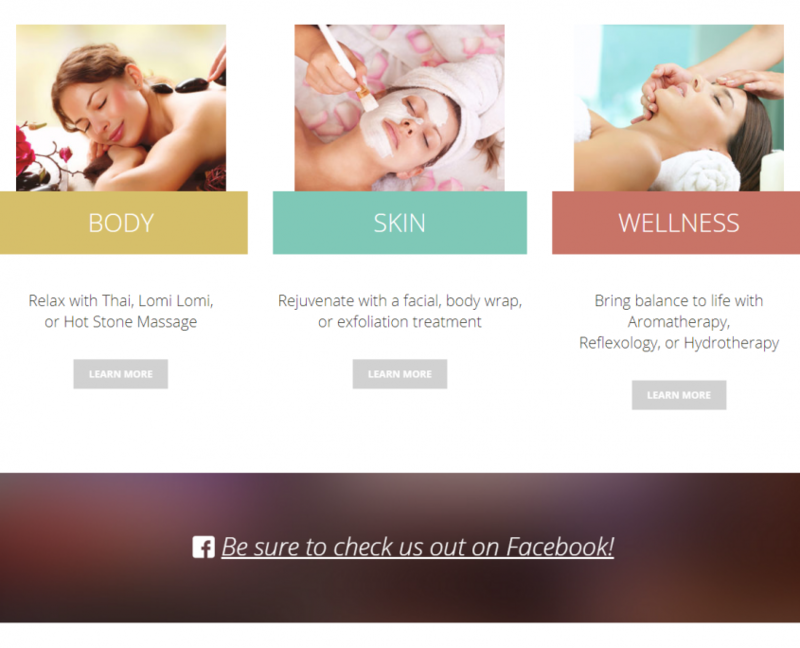 We were able to bring across the owner’s fun personality through her website as well as show her clients valuable information. 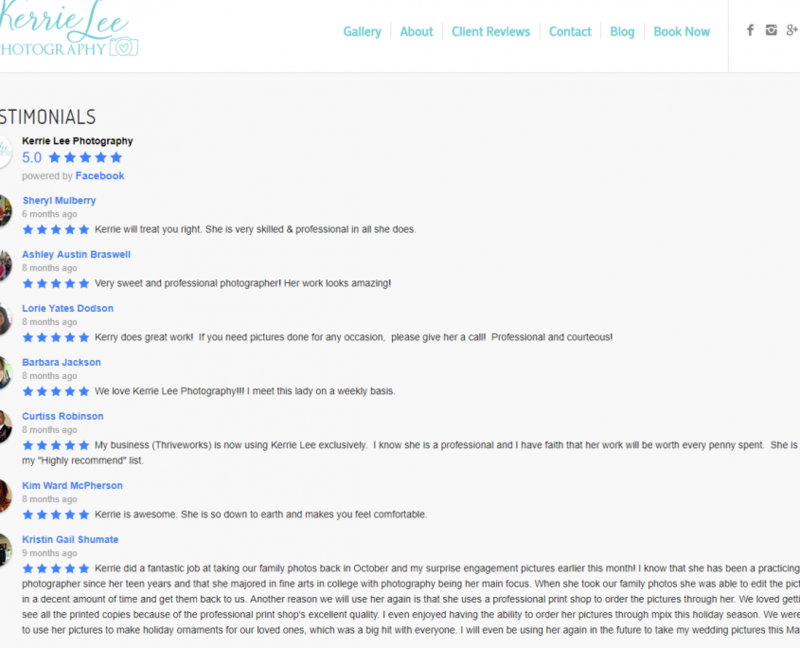 We also provided much needed SEO content to help her rankings and online exposure. 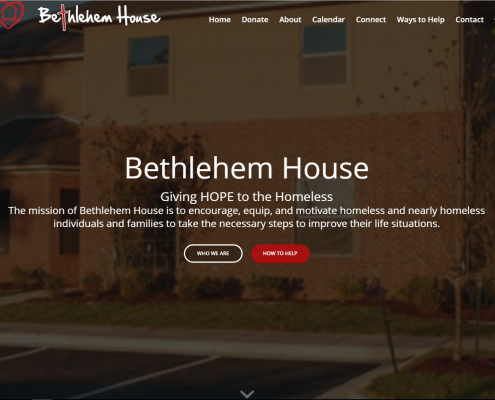 The mission of Bethlehem House is to encourage, equip, and motivate homeless and nearly homeless individuals and families to take the necessary steps to improve their life situations. 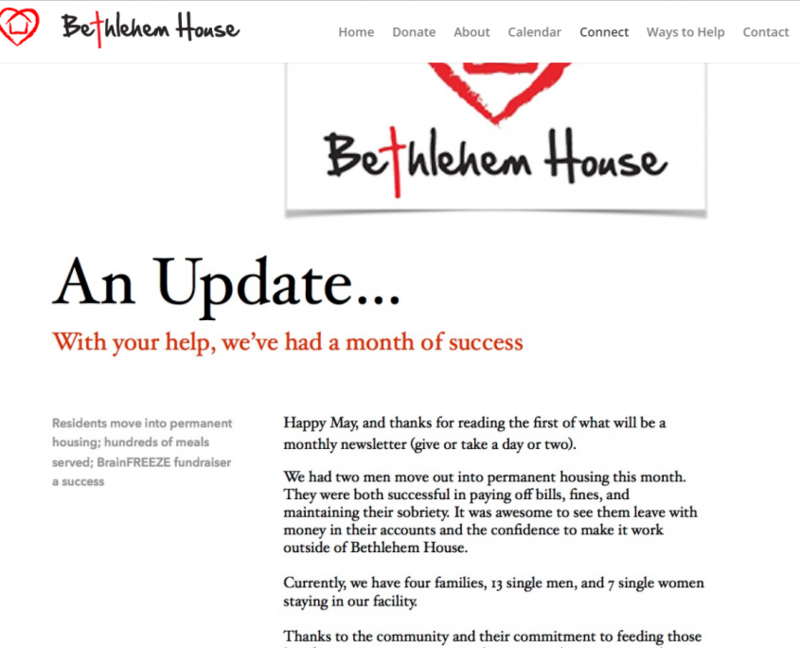 We have helped create their website, show case events, and start a blog to help bring more visibility to such an amazing foundation. 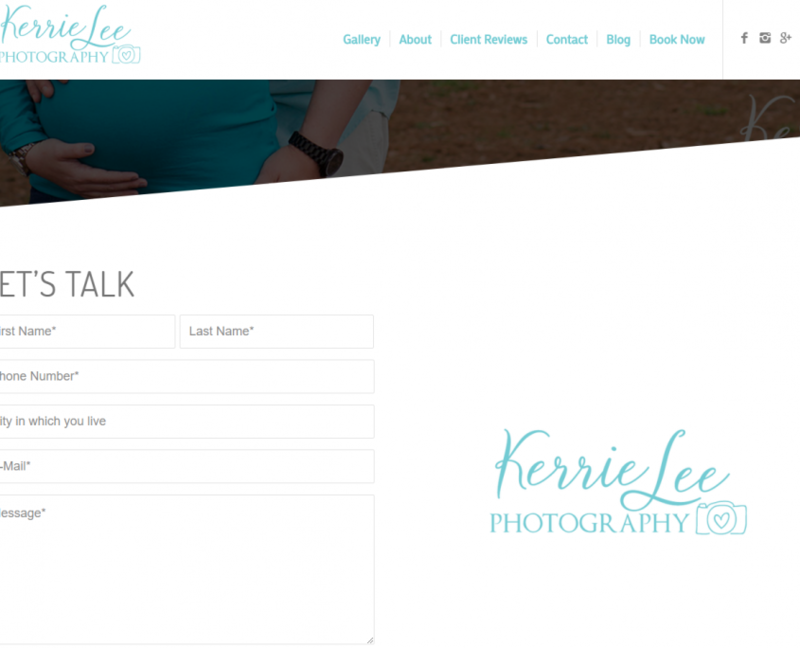 Kerrie Lee Photography offers a wide range services. The company needed a place to present all of their information for potential customers. 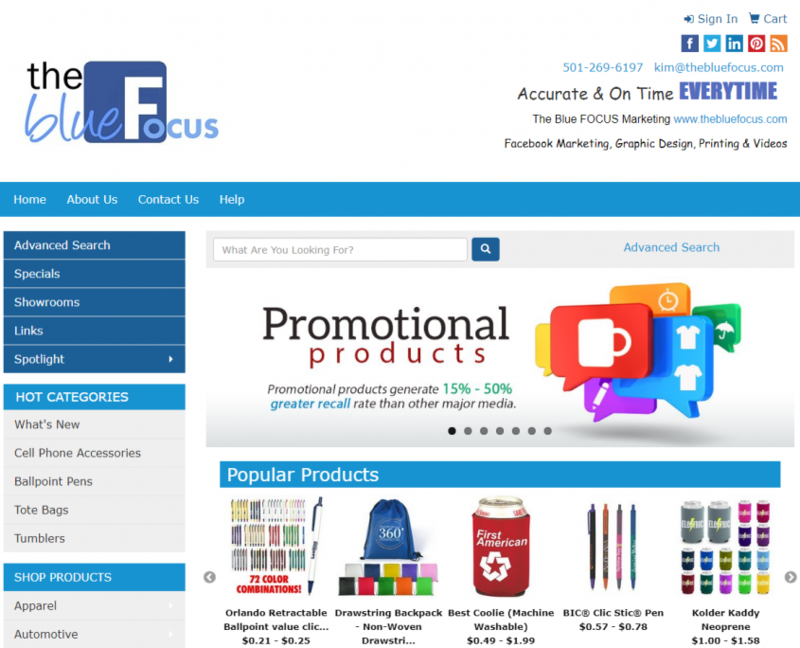 We were able to create a site that represented the company’s style as well as bring across valuable information. The site is easy to navigate as well as customization to the user. 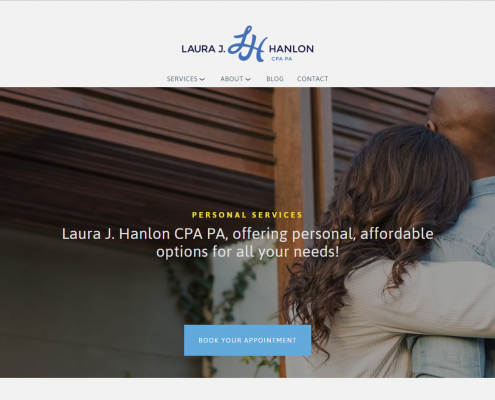 Laura Hanlon CPA PA has beautiful web design and branding, but needed more of a web presence in Conway. We set up the company with a managed SEO strategy to help bring in more customers and get their rankings up on Google. 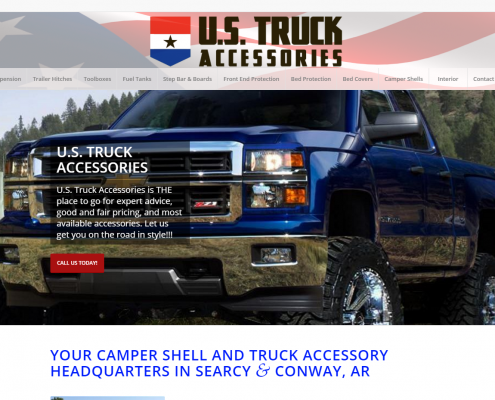 US Truck Accessories updated their website with CloudZen Designs. 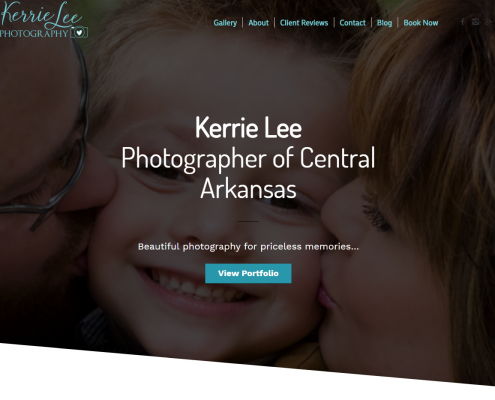 With a great foundation in Conway and Searcy, AR we helped to create an SEO strategy that would bring in more customers from the surrounding area. 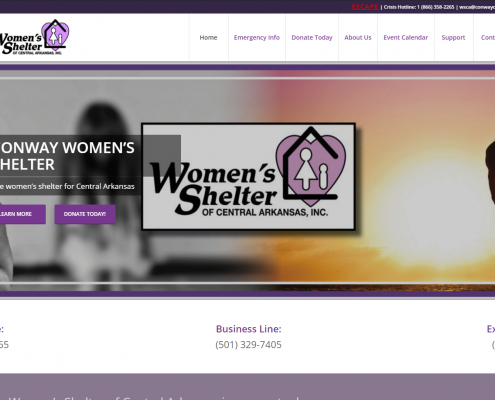 The Women’s Shelter of Central Arkansas is a perpetual non-profit corporation engaged in providing a promise of hope and a haven of safety for women and children who seek protection and relief from domestic abuse while residing in Faulkner county, Arkansas, and surrounding areas. 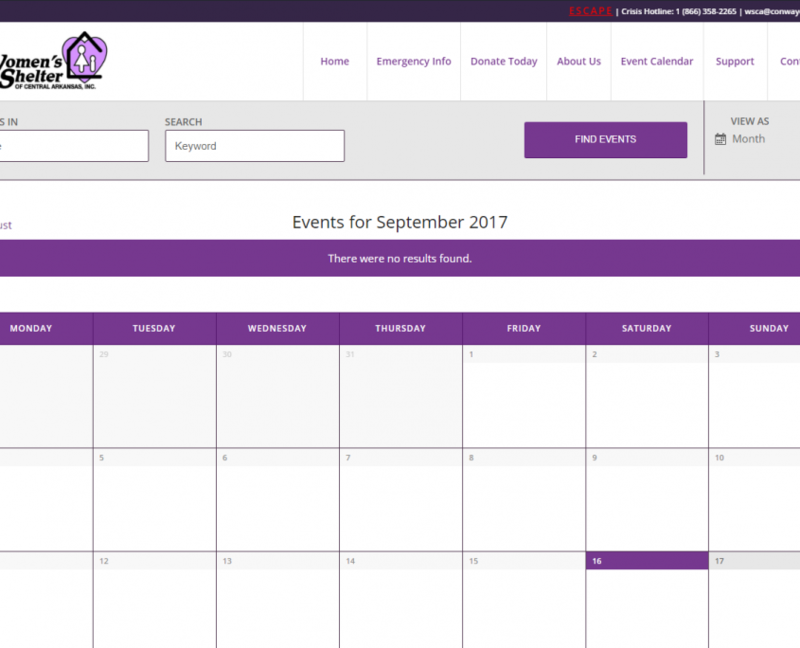 CloudZen Designs create a new site to share their events. 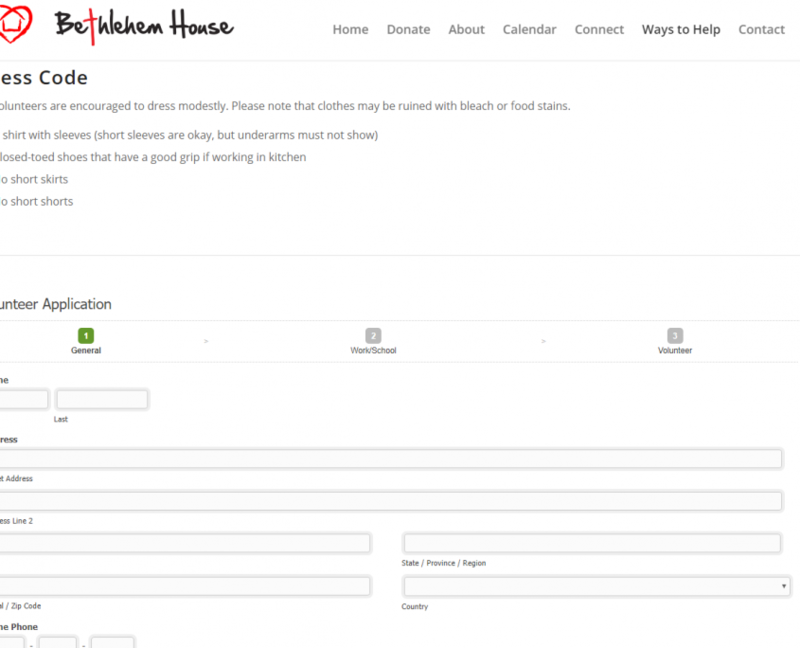 We have also create a donation form to help take donations from the community. 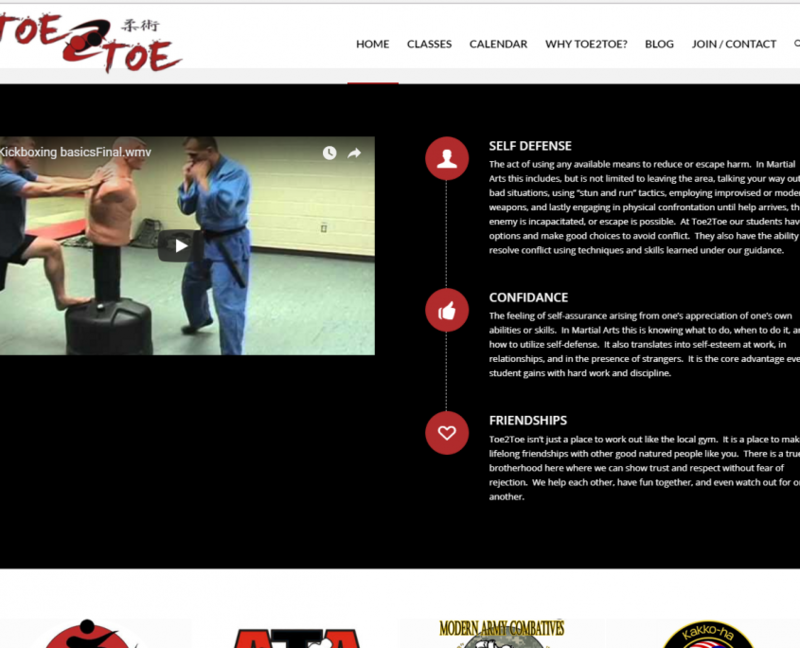 Conway Toe2Toe is a martial arts dojo. 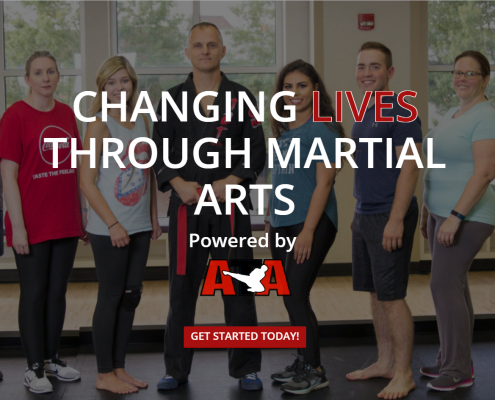 They have a long history and have created several classes for kids, women, self-defense training, combative, and others. CloudZen created a site to help them as they grow. 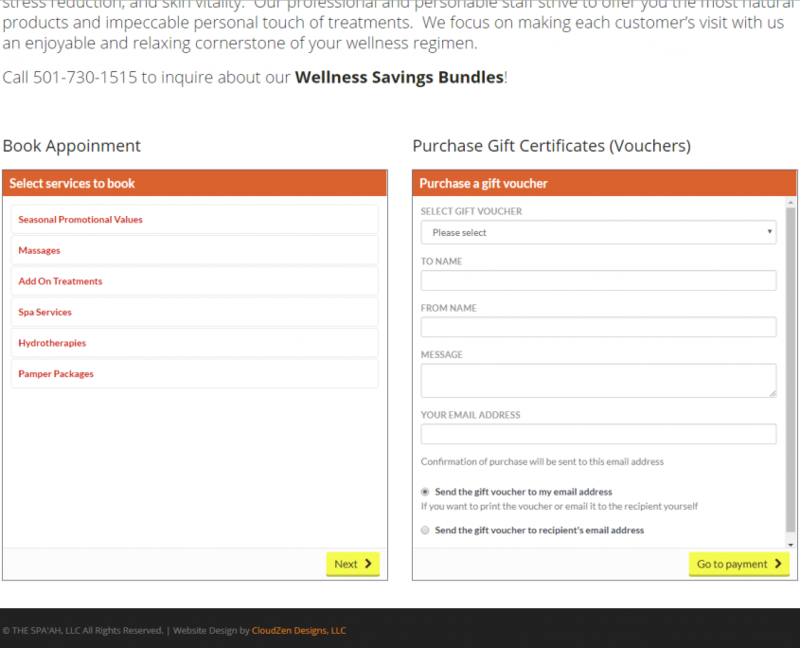 We also created an SEO package to increase their online visibility. 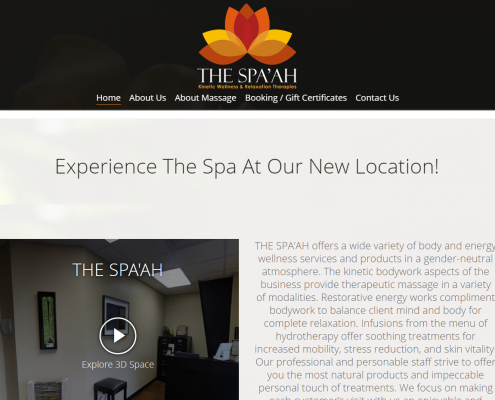 With a big move to a new facility, THE SPA’AH needed a new site design to help make it easier for customers to find their services and make an appointment. 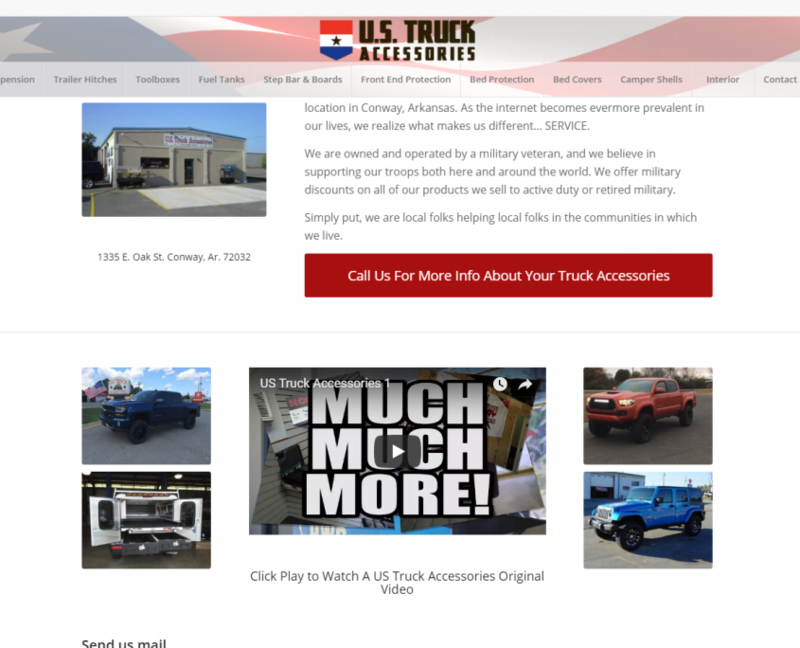 We were able to showcase their services with a little added onsite SEO. 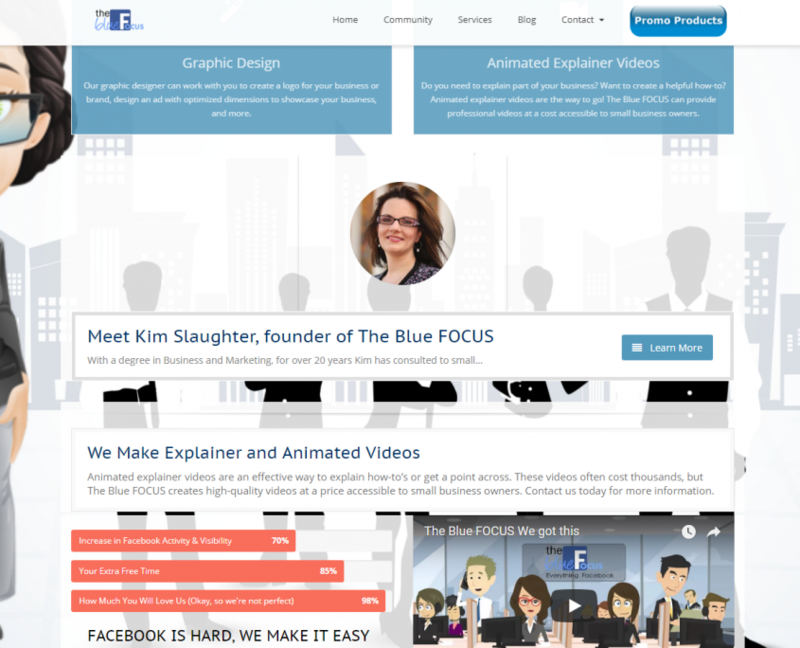 The site is designed for the company to grow so pages and content can be easily added. We can’t wait to see what else is in store for them! 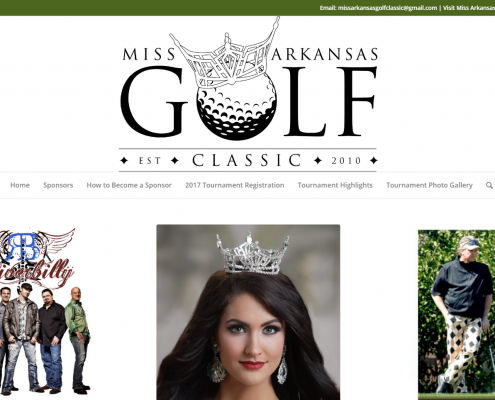 Miss Arkansas Golf Classic the greatest fundraiser for the Miss Arkansas Scholarship Foundation, in 2016 we raised over $70,000 for scholarships for young women in Arkansas. 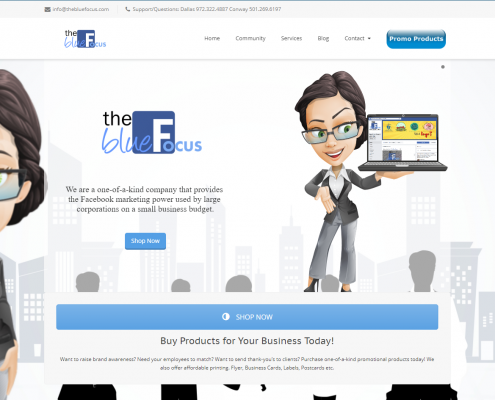 The Blue Focus is one of our most trusted partners. 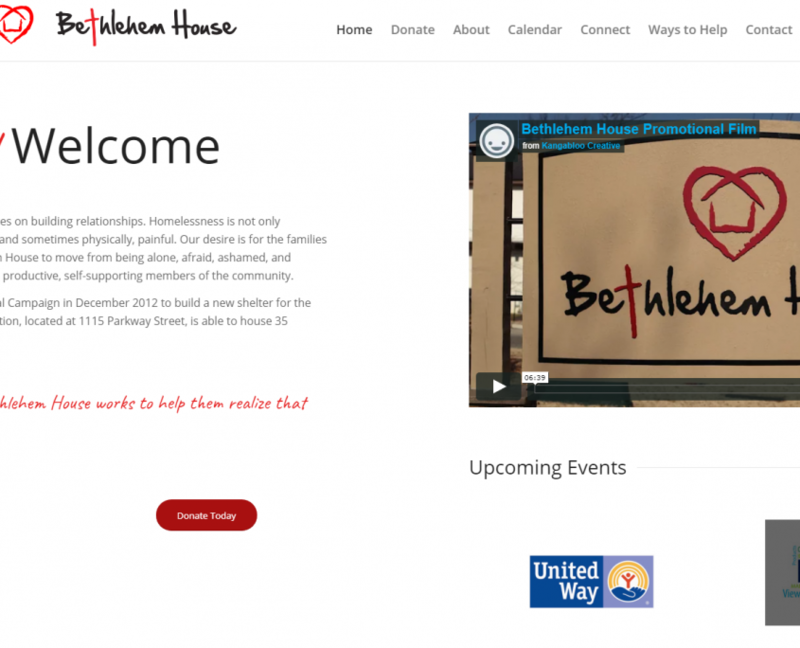 We were excited to revamp their website to show potential clients their services and values. CloudZen and The Blue Focus continues to grow to create even better services for our clients! Fresh Start Conway needed a fresh new look. 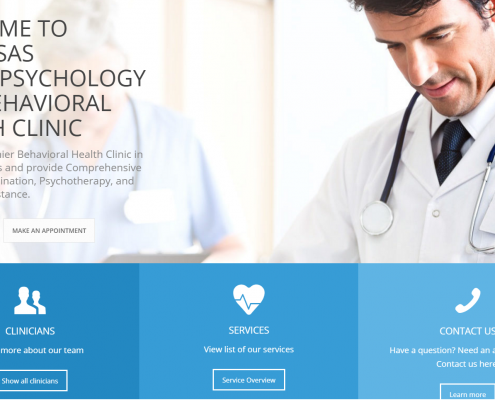 With a growing client base, the company needed a way to share their services as well as a place for new clients to make an appointment. 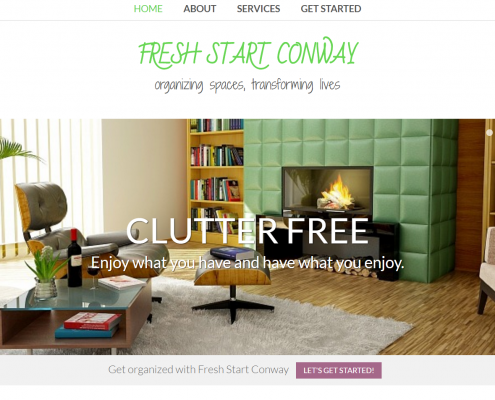 As a professional organizer, Fresh Start Conway had a unique trade that allowed more visibility through search engines. This was such a wonderful project to work on! ANBH needed a full service marketing solution. We were able to help create a new logo that represented the company. 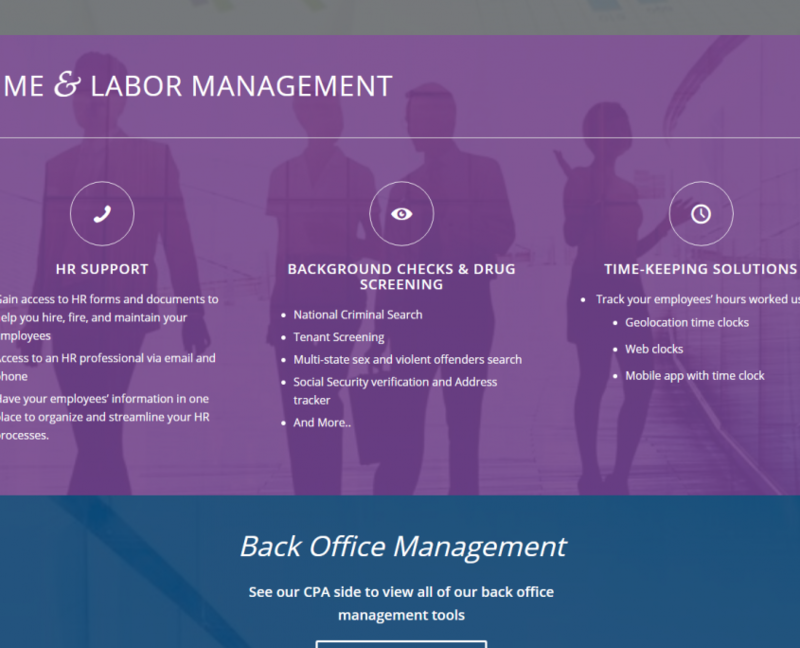 Our web design services relayed across their message as well as giving them unique customization with professional photography of their staff. To further their marketing goals, a social media strategy was in place to help them gain more engagement through Facebook. In just a month they had over 2,000 likes with activity on each post! 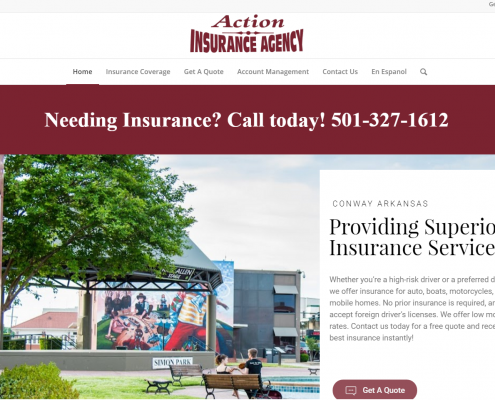 Action Insurance needed a revamp to their websites. To grow their clientele, the company needed to share important information to their customers. 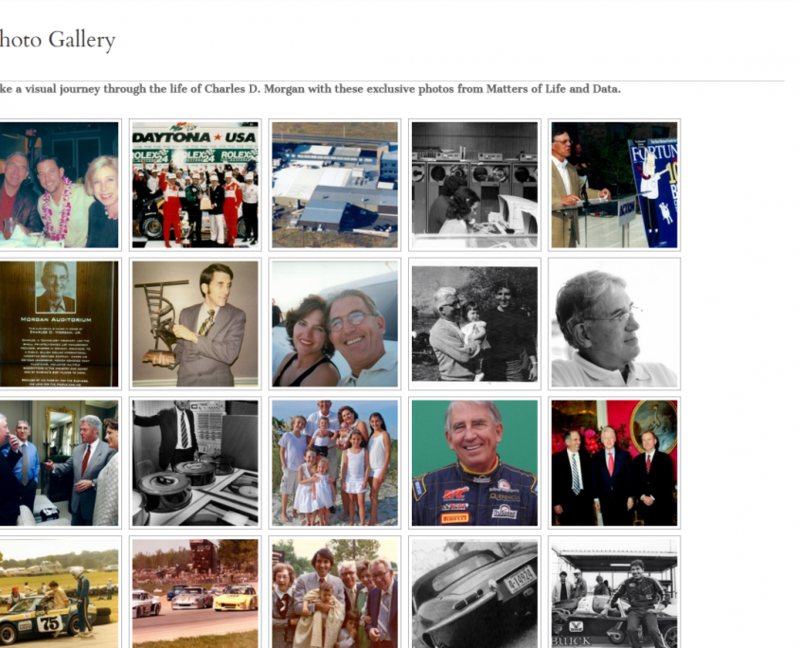 Having this website also helped them be better searchable on Google. It was a great experience learning more about the business and being able to help it grow. 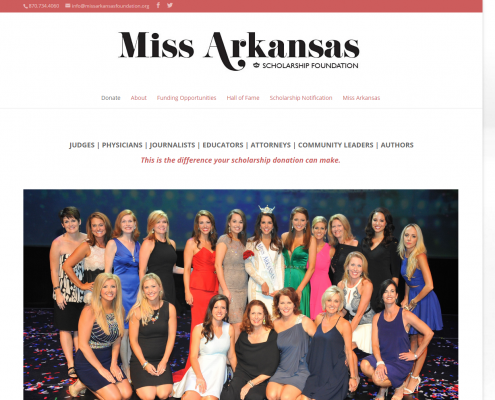 The Miss Arkansas Scholarship Foundation (MASF) needed a revamp to their website. 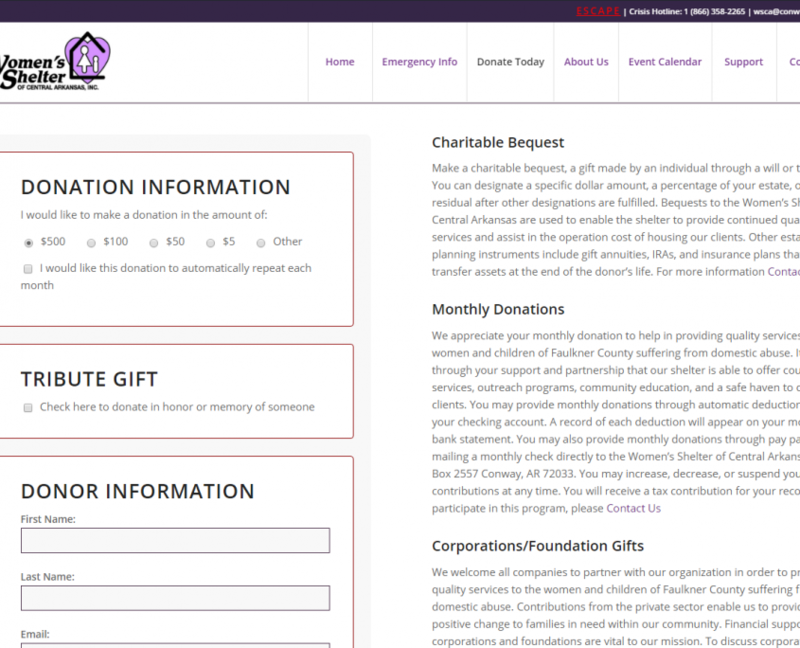 They were a part of the MissArkansas.org website, but decided they needed to branch out and develop a more defined space for the foundation. 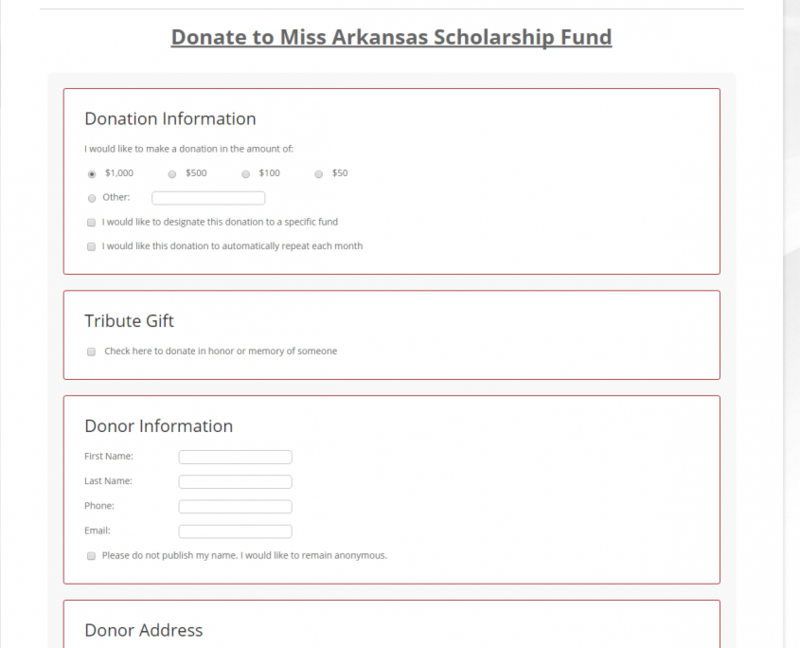 The Miss Arkansas Scholarship Foundation is the sole fundraising organization for the Miss Arkansas Scholarship Pageant and a registered 501(c)(3) non-profit organization; as such all donations are tax deductible. 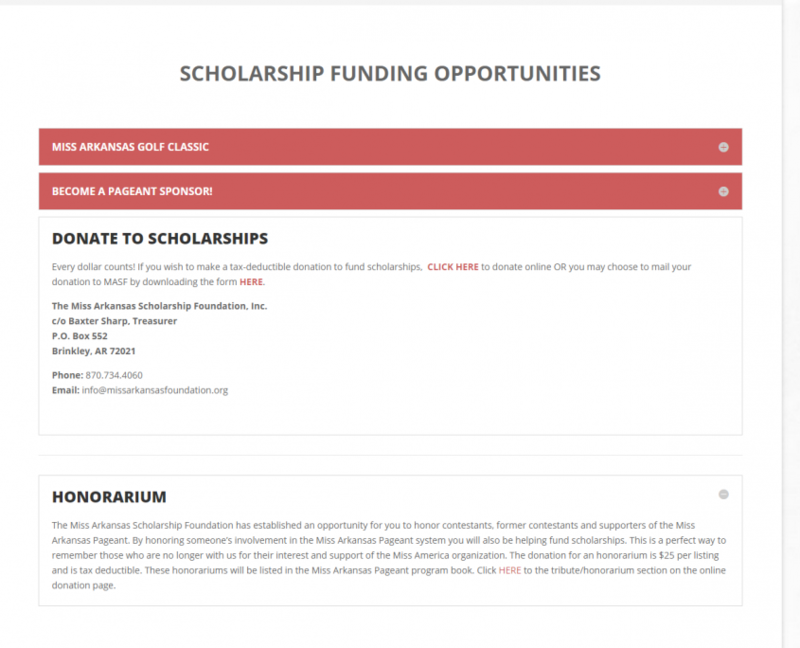 In 2015, Miss Arkansas Contestants received $87,250 in cash scholarships and an additional $250,000+ in in-kind scholarships to Arkansas universities and colleges. 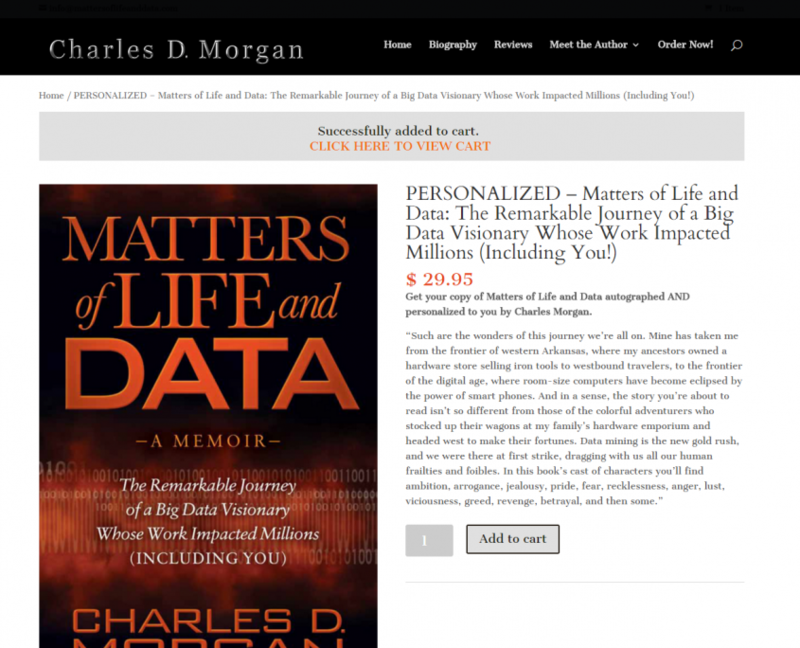 I was honored to work on a website for Charles Morgan to represent his new book Matters of Life and Data. 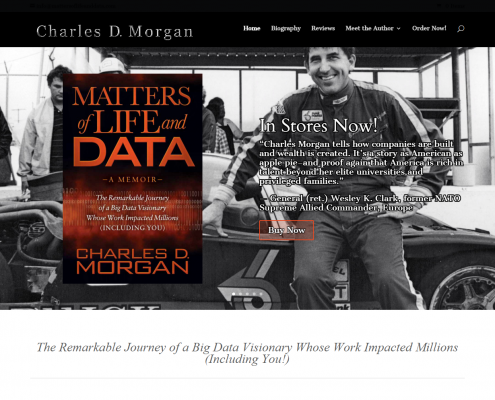 Arkansas’ own Charles D. Morgan (former CEO of Acxiom and current CEO of Privacystar) is ready to share his new memoir with the world. 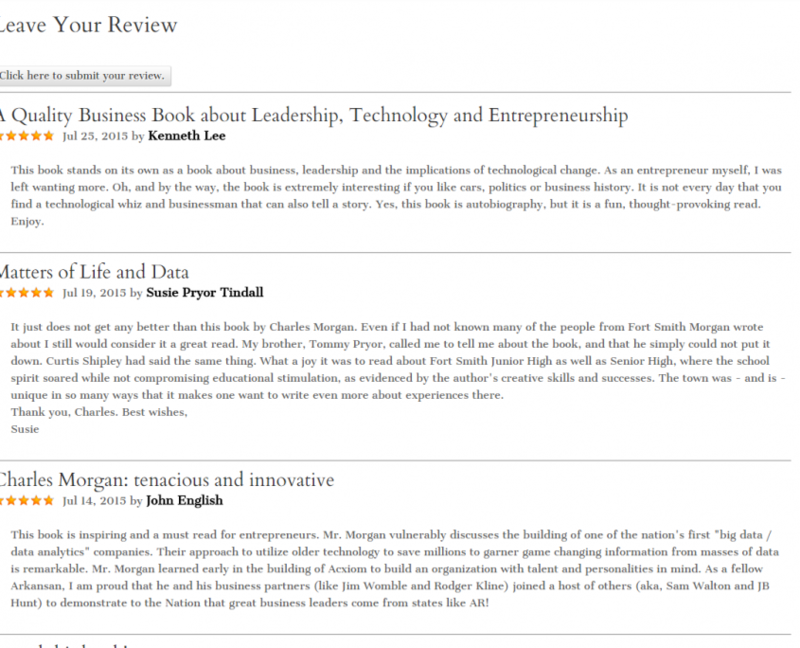 Read his journey as he took on big data and impacted millions of people across America. The heartfelt moments take you for an adventure from beginning to end.